Storm Chasers batters mashed 17 hits, including three hits apiece from second baseman Nicky Lopez and Bubba Starling , while third baseman Humberto Arteaga, first baseman Frank Schwindel , designated hitter Cheslor Cuthbert and shortstop Erick Mejia drove in two or more runs in Omaha's 11-10 win over the New Orleans Baby Cakes on Sunday afternoon at Werner Park. 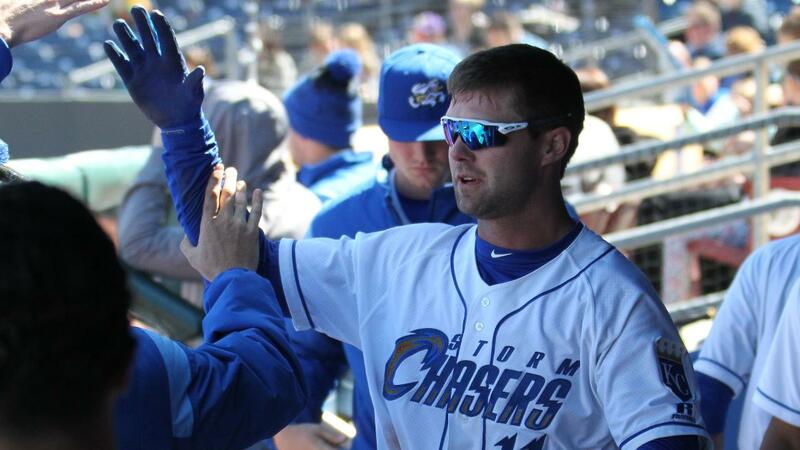 Lopez and Starling paced Storm Chasers hitters with a trio of knocks each. Starling has tallied a hit in five of his seven contests with Omaha, compiling a .346 average (9-26) with four runs and two RBI, along with three walks. Lopez has reached base in all nine of his tilts, batting .265 (9-34) with eight runs, one double and four RBI. Baby Cakes CF Monte Harrison (2-5, 2 R, HR, 4 RBI), LF Isaac Galloway (2-4, 2 R, 2B, HR, 2 RBI, BB) and 1B Matt Snyder (2-4, R,HR, 3 RBI) each collected multi-hit efforts, with each blasting a home run as well. Harrison's grand slam in the eighth narrowed Omaha's large advantage to just one run. The two teams are slated to complete their five-game set with a Monday matinee. First pitch is scheduled for 11:05am CT. Omaha is expected to give the nod to LHP Jonathan Dziedzic (0-0, 0.00), while the Baby Cakes are anticipated to send RHP Ben Meyer (0-1, 8.31) to the hill.